Dry and continued warm weather will occur today and well into the week ahead with afternoon highs in the lower half of the 90s. A weak front along with increasing moisture levels at the end of the week will lead to isolated to scattered showers and thunderstorms. 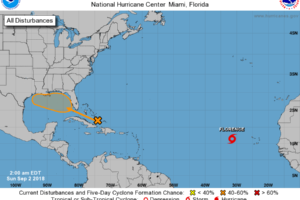 In this edition of WeatherBrains, the gang discusses hurricanes with returning WeatherBrain, Dr. Marshall Shepherd. 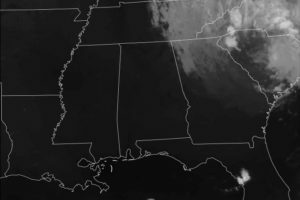 Unsettled weather is forecast for Central Alabama for the next several days as a weak frontal boundary takes up residence across the Southeast US. High temperatures will generally be in the lower half of the 80s through mid-week. Summer-like weather for your Saturday with highs climbing into the lower 90s and only isolated showers or thunderstorms. Rain chances head upward late Sunday and Monday as a frontal system moves into the Southeast US. Temperatures will drop back with highs in the 80s. Isolated showers and thunderstorms are forecast for Central Alabama today and Labor Day with highs in the lower 90s. Weather by mid-week will depend highly on the track and development of an area of disturbed weather now approaching the Bahamas. 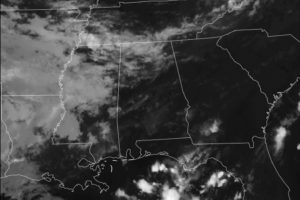 A large upper ridge remains in place across the eastern US keeping Alabama in a warm and moist pattern with daily chances for showers and storms. 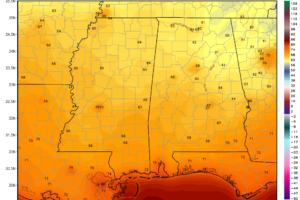 Highs will be at or near the 90-degree mark for the weekend and much of the week ahead. 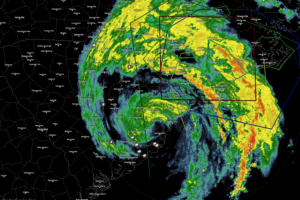 This edition of WeatherBrains comes from the annual meeting of the National Weather Association being held in St. Louis, MO. Today and into the first of the week ahead it is expected to be warm and mostly dry with highs in the lower half of the 90s. While an isolated shower will be possible, better chances for rain come for the latter part of the week due to a combination of afternoon heating, a stalling frontal boundary, and increased moisture. 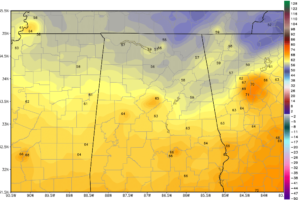 Dry with a slow warming trend will occur across Central Alabama thanks to a large upper ridge over the eastern US. High temperatures will gradually warm from near 90 today and Sunday into the lower half of the 90s for the week ahead. 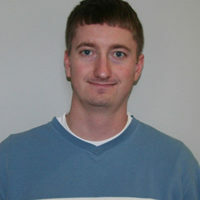 Joining the WeatherBrains gang from Japan is Dr. David Bodine who is currently working on the development of the next radar system using phased array radar. The weather remains unsettled today and Monday with the potential for numerous showers and thunderstorms. A cold front is forecast to move through Alabama on Tuesday bringing a real change with much drier air by Wednesday and Thursday. Our weather pattern is forecast to remain unsettled for the next several days with much drier air coming into the Southeast at mid-week. Numerous showers and storms along with plenty of clouds will help to keep highs in the middle and upper 80s for the weekend and into the first of the week. 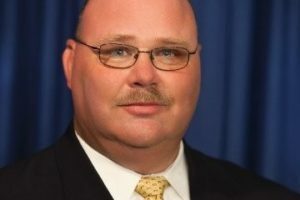 The WeatherBrains gang takes on the topic of the safety of mobile or manufactured homes with Art Faulkner, former Alabama EMA director. 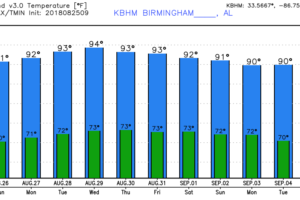 Slightly drier air aloft should limit showers and thunderstorms across the northern half of Alabama today and Monday as highs once again push into the range of 89 to 92. Looks like moisture values come up Tuesday with showers a bit more numerous. Look for a warm and dry day today with highs around 90. 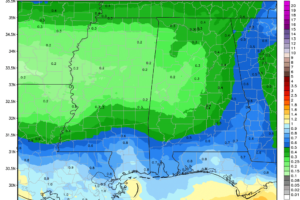 Lower precipitable water values keep our chances for rain low through about mid-week when another weak front begins its approach to the Southeast US. Highs for the first half of the week in the lower 90s.